The privacy regulation shown here is applied to all our services available online, by email, by phone or any other mobile device. You should visit this page frequently, to ensure that you are familiar with the latest version. User Login: you shall be requested to fill an online form with your personal data: email, name, tax-payer number, address personal code, phone number, username and password. Booking: you shall be requested to fill an online form with the personal data related to your email: name, tax-payer number, address personal code, phone number and credit card information (type of credit card, number, code CVC, expiration date, name of the card owner) among other necessary information. All these data are necessary to process and complete your booking. It is extremely important that the email address is valid and usable, since the booking confirmation is sent to that email address. Costumers’ Feedback: the booking confirmation email contains a link to a customer’s feedback form. Newsletter: you shall be requested to fill an online form with your personal data: name and email, and the topics of interest to subscribe the Newsletter. You will receive news (authorized and requested promotions, divulgation of new products, news, etc) according to the topics at the subscription. In case you don’t want to receive the Newsletter, at any moment it’s possible to cancel the subscription (the link is given in the Newsletter e-mail). Chat-online: a nickname shall be requested to access the chat-room on-line, to interact in real time with the tourism technician, the oenologist or any other members participating in the chat. By booking at the www.winetourismportugal.com, you acknowledge and agree with the transference of your personal data, as well as other general conditions of use of the portal. You are also giving consent to the transference of your personal data to the partners owning the services or products you booked. When you visit the portal www.winetourismportugal.com our server automatically detects and records your IP address. This address is not connected to any of your personal data. The use of IP address is exclusively to select your language by default (if the portal is translated to your native language) and to help us to administrate the portal. As a way to protect and safeguard your personal data and your credit card data, supplied upon formalization of a booking in the portal www.winetourismportugal.com, the WINTP uses proper security systems. After you provided all the personal and the credit card information, these are transmitted to us according to a protocol with a safe server, which encrypts all your personal data, as well as your credit card’s. Your data are immediately sent to the involved partner (owner of the service you booked). The WINTP will take reasonable technical and organizational precautions to prevent the loss, misuse or change of your personal information. We implant all the technical means and measures necessary to protect your data from misuse or unauthorized access. We use the software of a safe server (SSL) to encrypt all your credit card information, before receiving it. According to the European laws to protect personal data, are implemented in the portal strict safety procedures to prevent the misuse of your personal and credit card information, as well as the unauthorized access to them. 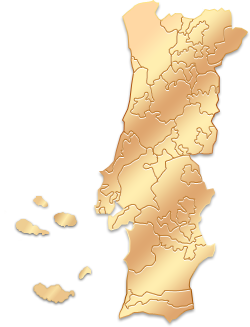 The www.winetourismportugal.com portal contains links to other websites. The WINTP is not liable for the privacy policies of the other websites. Furthermore, if you enter our portal through third party links, we cannot be held liable for the privacy policies or for the practices of third parties. The cookies are small information that a site transfers for your hard drive, to store, and sometimes track, information concerning you, such as visited sites, information hour/date of the number and location of clicks (mouse) in a given website, mouse movements, activity of the sidebar, the words (search) used and the text you introduce while using our portal. The gathering of that information is exclusively for marketing analyses, to improve the quality of our services and to provide you a more personalized service. Your credit card is never collected by cookies.